To properly prepare your goods for air freight, you need to understand the ecosystem of products and distribution well. You also need to understand the packaging materials and the patience necessary for the correct delivery of your goods. Understanding and following these signs will help you ensure that your goods remain safe during transportation. Why send through the air? In today’s accelerated global market, rapid deliveries are a prerequisite for successful business. Speedy delivery provided by professional air freight forwarders, of course, has no equal with any other modes of transport. For example, shipping from Japan will arrive in the US in less than 3 working days. Speed of delivery also increases reliability and reduces the risk of damage. Generally speaking, the less time your cargo spends in the process of shipment, the less is the risk of something going wrong. When it is urgent – with strict deadlines or shipment of perishable goods – the only option is air cargo. It also gives you a better overview regarding the tracking of shipment. Thus, when you prepare your goods for air freight, you can be sure they will reach a destination quickly and safely. What products are suitable for air travel? 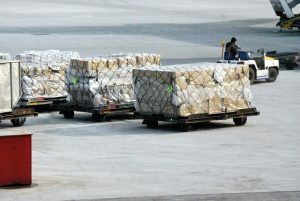 Typically, the most economical scenario would be to use air freight for items that are heavier but smaller in volume. A good example is expensive electronic equipment. Other goods that you can transport by air include relatively small things, such as medical products, documents, clothes, and accessories. A professional Japan logistics company can provide you with the information about the products you can transport by air. What are the products you cannot transport by air? On the other hand, there are a number of goods that cannot be sent by air. Or they are subject to restrictions by local laws or company rules of procedure. The list of prohibited or restricted goods may include lithium batteries, perishable goods, animals, fine arts, precious metals, etc. After saying this, it does not automatically mean that you cannot send any items like that. But you will have to consult with local authorities and, if necessary, undergo the procedure of inspection and clearance in advance. Thus, before you prepare your goods for air freight, we advise you to familiarize yourself with the national regulations. For example, it may be necessary for the competent authority to conduct an appropriate examination to check if the goods have the right to air transport. 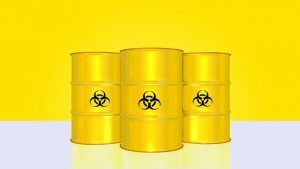 In addition, we specify the IATA Dangerous Goods Regulations as a guide for the preparation of shipments that may contain the possibly forbidden goods. What are the signs you need to understand before you prepare your goods for air freight? Punctures and abrasions: when you don’t prepare your goods for air freight well. Compression: stacking, punching, vibration or loose binding straps result in compressive forces that can lead to product damage. Overload: if you use proper packaging, it should be able to protect the contents from drops and shocks. The risk of all of them can be minimized if you prepare your goods for air freight properly. Here are a few ways to do this. 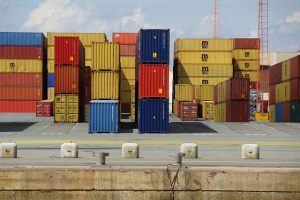 They are the most commonly used transport container, but the vast majority of people do not know about the strengths and weaknesses of the package. The greatest compression point on the box is within 1″ of the edges, which are created by two adjacent panels. They can also deteriorate over time – up to 50% of its strength within 6 months. The humidity of 90% has the ability to weaken the packaging by as much as 60%. They are often not strong enough to be reused and should be treated as packages for single use. Pallets on any shipment must have a load on the floor exceeding 100 pounds per square foot. Know the capacity of your pallet; never exceed it. Why is it important to properly prepare your goods for air freight? Air freight is a very popular and useful way of sending cargo. Mostly because safety is one of the main advantages of air transportation. But, in order to make sure that your goods will actually be safe, you need to prepare them. In accordance with these general best standards, your international shipment will be safe when using air transportation. It’s a good idea to properly prepare your goods for air freight, and also reduce the effect of shock.